This upgrade will download 6GB of data to your device. Please be aware that this download may impact the network you are connected to. Upgrading on the district’s network is encouraged, although not required. 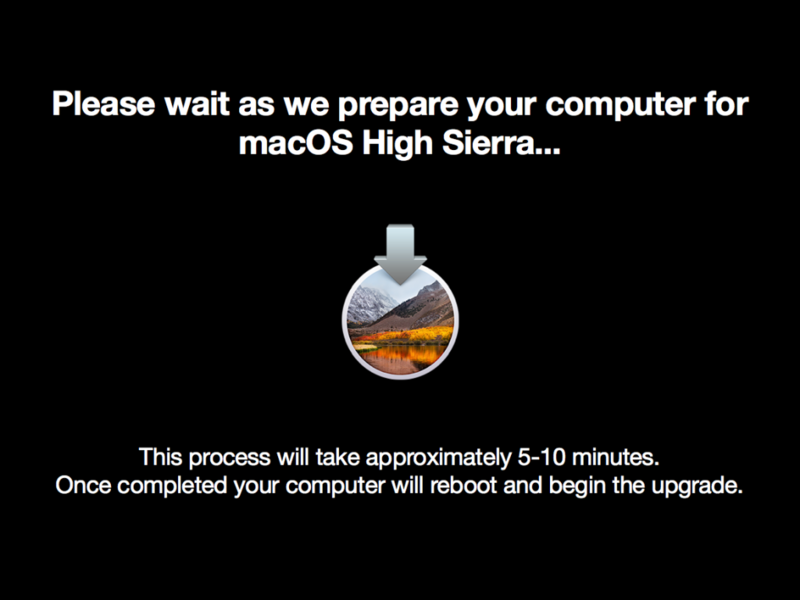 While this process generally does not result in any loss of data, it is strongly recommended that you back up your data to an appropriate location before updating. 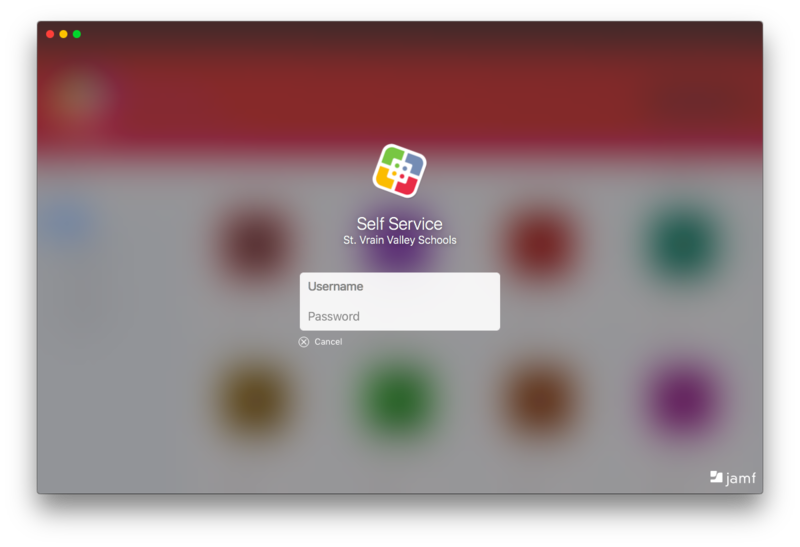 Self Service will allow you flexibility to install applications or run upgrades on your device as needed. Quit all applications on your computer. This includes Firefox, Chrome, or any other application you have used recently. Restarting your computer is recommended before starting this process. Connect your computer to power. 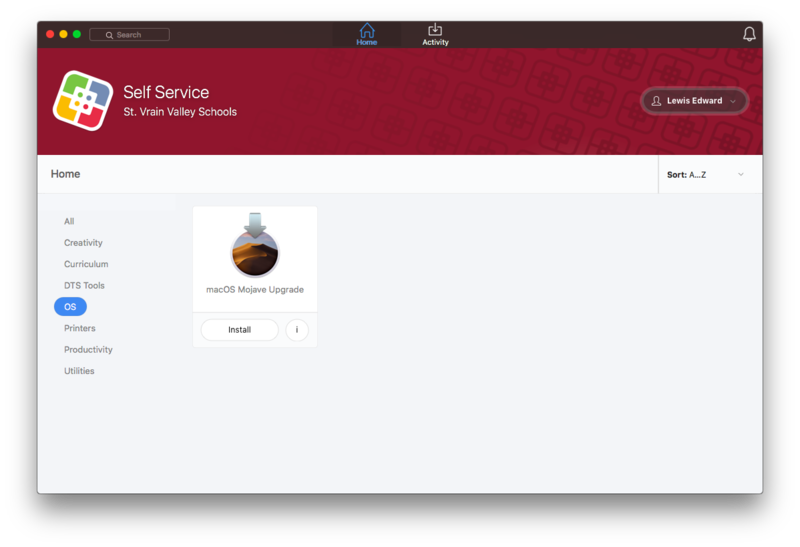 Open Self Service on your macOS device. Open spotlight and search for Self Service if it is not in your dock. Once Self Service launches click on Log In in the upper right. 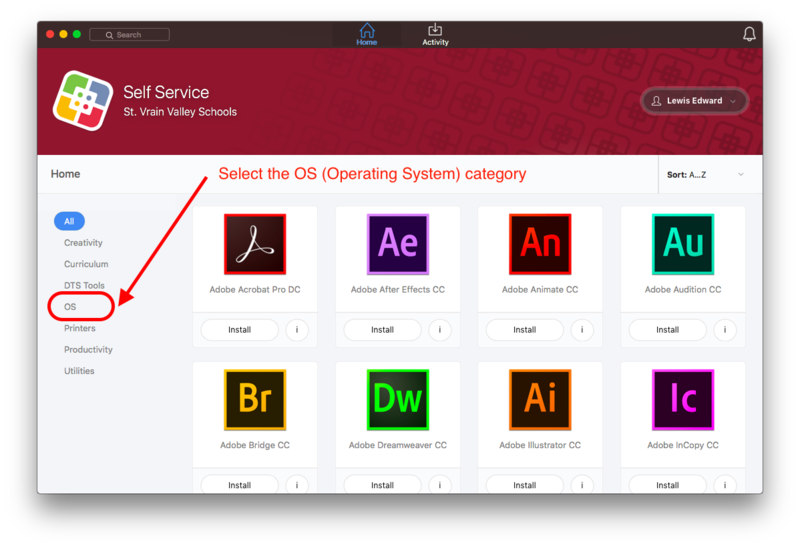 After logging in, a new category called “OS” will be available if an upgrade is available for that computer. Select the current option available. 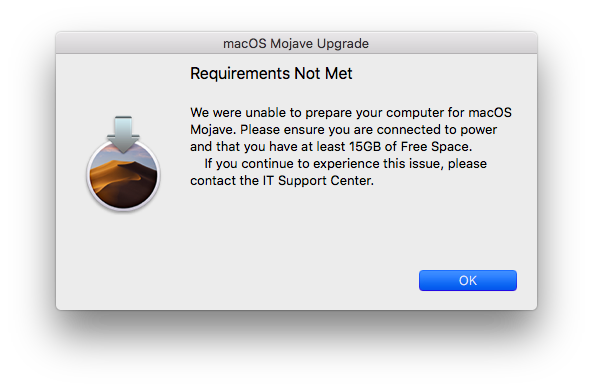 Currently this is “macOS Mojave Upgrade.” If there is not at least 15GB of free space it will not be eligible for the upgrade in Self Service. 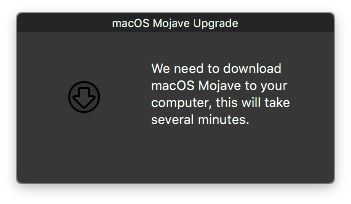 Please clean up some space to allow it to qualify for the upgrade. 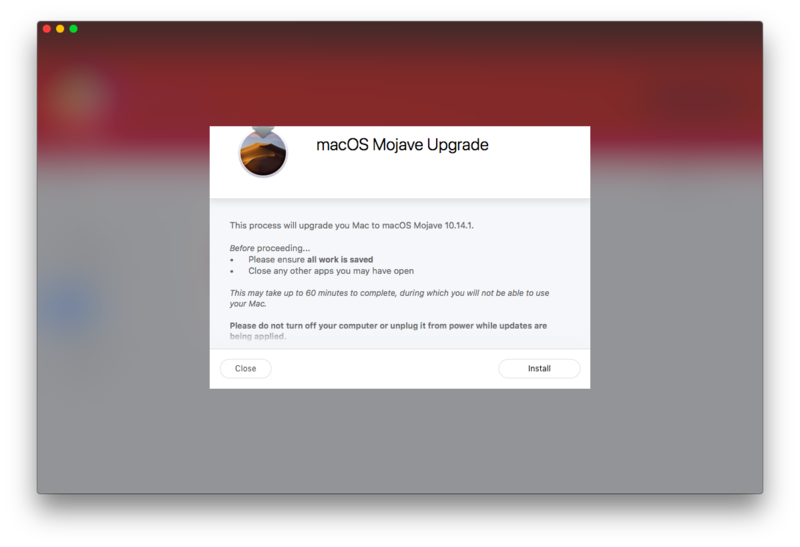 Read the information regarding this upgrade, and then click Install. Once you have corrected the issue(s), please attempt to run the upgrade from Self Service again.